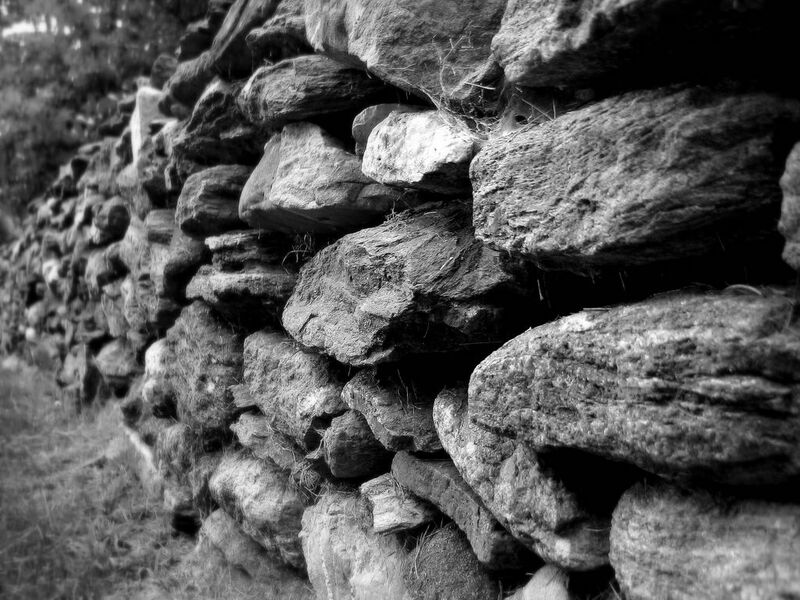 The stone wall - ancient as the first colonial settlers, modern as 2006 - every day for the last week I've driven by a solitary workman carefully building one of these stone walls, lining them up, shaving off a bit here or there, saving the flattest ones for the top. They are testament to the rocky soil our predecessors here worked with so much effort and hard labor. Now they are status symbols - "authentic" walls lend class and doubtless raise real estate values - they are much more expensive to install than those of manufacture stones, which are all of the same size. Just read your fine comments on the photoblog newsletter. This photo is also quite fine!! Like this picture a lot. Makes me think of Yorkshire where there are miles of similar walls. Beautiful. I love those walls, and I really like your picture. I just started another DP blog for Washington DC.